Cues by the US Fed, Chinese macro-economic data and the domestic factory output will send the Indian equity market on a \"roller-coaster\" ride and that too not \"a pleasant one\" in the week to come, experts have predicted. 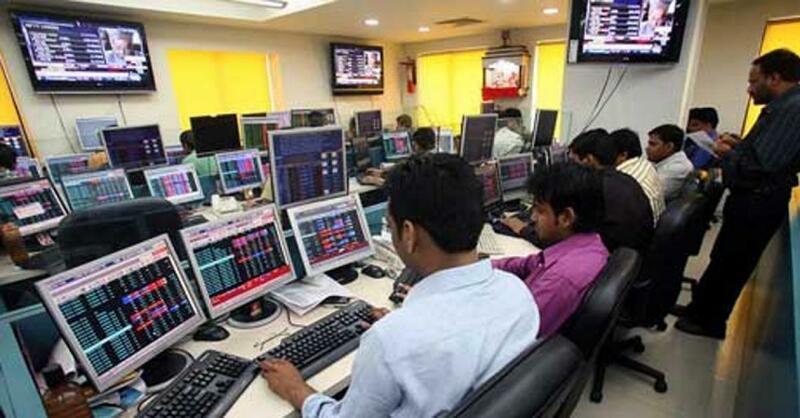 Cues by the US Fed, Chinese macro-economic data and the domestic factory output will send the Indian equity market on a "roller-coaster" ride and that too not "a pleasant one" in the week to come, experts have predicted. On Monday, the Indian markets will be confronted with cues from Asian exchanges on weaker US jobs growth data. Though a deterrent to an US rate hike move, this is a grave concern at a time when the world economy is slowing. As per the US Bureau of Labour, the total non-farm payroll employment increased by 173,000 in August from July's job gains of up to 245,000. The macro data represents the total number of US work force employed by any business, apart from the government, private households, non-profit organisations and farm sector. The US unemployment rate in August dropped to 5.1 percent, the lowest since April 2008. The data also indicates the rate of economic growth and inflation. "Next week would be influenced by global growth concerns and risk aversion on Chinese markets moves. Markets are expected to be volatile," said Devendra Nevgi, chief executive of ZyFin Advisors. "The Chinese and US relationship will be closely watched, as well as the Fed moves," Nevgi told IANS. The non-farm payroll employment data will influence the US Fed's rate decision, expected on September 16-17. High interest rates in the US will lead away foreign portfolio investors (FPIs) from emerging markets like India. This is also expected to dent business margins as access to capital from the US will become expensive. In addition to the US, Indian markets can come in for a bombardment as frantic dollar buying in China devalues the yuan and other Asian currencies, including the rupee. Reports from China suggest that the central bank is planning to impose stringent regulations on foreign exchange purchases from October to curb speculation and volatility. "The rupee is in a clear and present danger from the yuan's devaluation and the expected shortfall of dollars in China due to the reports on new regulations," Anindya Banerjee, associate vice president for currency derivatives with Kotak Securities explained to IANS. Coincidentally, the Chinese markets will also open after remaining closed from Sep 3 on account of Victory Day celebrations held to commemorate China's victory over Japan in the Second World War. Interestingly, the continuous slide in the Chinese markets in the first place had spooked global investors and dampened Indian equities on fear of another recession caused due to the slowdown in the $10 trillion-worth Asian economy. "Markets will react to macro data coming out from China including exports growth, inflation and industrial production next week," Vaibhav Agrawal, vice president, research, Angel Broking elaborated. "We expect markets to continue to trade with a negative bias with profit booking on every rise." Sentiments are expected to be carpetbombed on account of the domestic industrial activity data, which is expected to be below average. "India's IIP (Index of Industrial Production) numbers and interests of foreign portfolio investors will dictate the trend on the bourses," Gaurav Jain, director with Hem Securities said. "The market seems to continue its downtrend in the week ahead too. The Nifty seems to test its psychological level of 7,500 points and may see a rebound on account of lower buying interest." According to Anand James, co-head, technical research, Geojit BNP Paribas, the markets have started speculating that lower data on eight core industries (ECI) will impact the IIP. The data is expected to be released on September 11. "The ECI growth slowed to a three month low at 1.1 percent, raising speculation that the overall factory output (Index of Industrial Production) could also be lower," James cited. The ECI's constituents contribute a whopping 38 percent to the IIP. The barometer 30-scrip sensitive index (Sensex) of the S&P Bombay Stock Exchange (BSE) plunged by 620 points or 2.40 percent in the weekly trade ended September 4. The Sensex ended the week at 25,772.58 points from its 26,392.38 points closing on August 28.